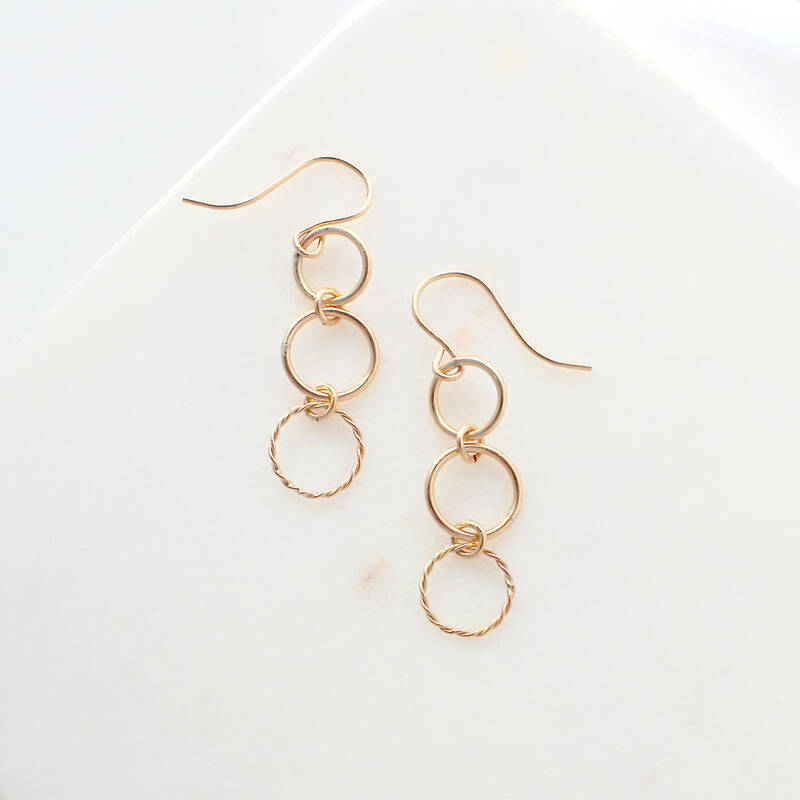 Minimal gold triple circle dangly earrings. 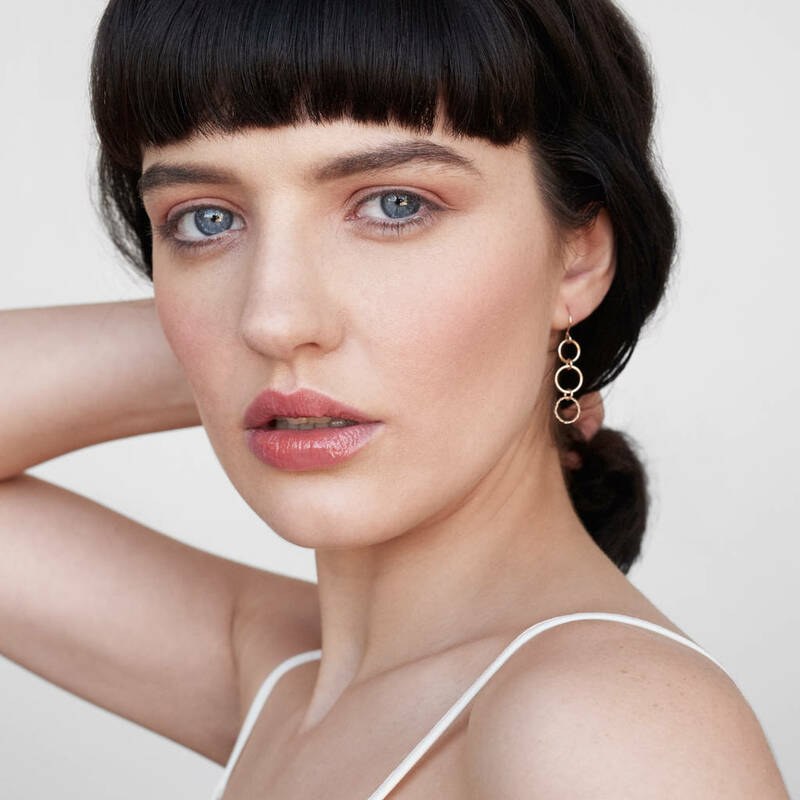 Three gold open circles, in varying sizes, are connected together to create these eye-catching long gold dangly earrings that move beautifully when worn. Each piece of jewellery is handmade in my studio in Dublin - with love, care and attention to detail.